One of Australia's most popular primetime television programmes, the award-winning A Country Practice (winning a record 30 Logies) is a drama series about the residents of the small country town of Wandin Valley, New South Wales. The storyline focused on the town's medical clinic, hospital, veterinary practice and pub. 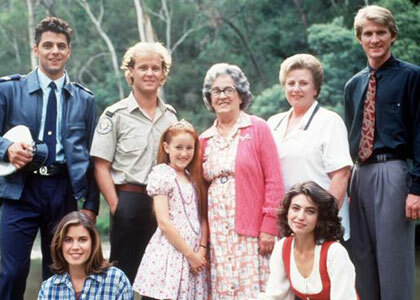 1058 episodes were produced between 1981 and 1993 in NSW and screened on the Seven Network. 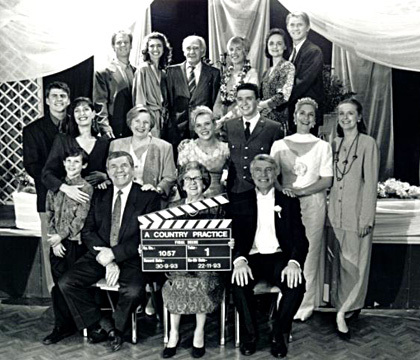 A further 30 episodes, with significant changes to cast, were filmed in Victoria in 1994 and screened on the Ten Network [see below]. After the Seven Network canceled A Country Practice in 1993, the series was quickly purchased by Network Ten. 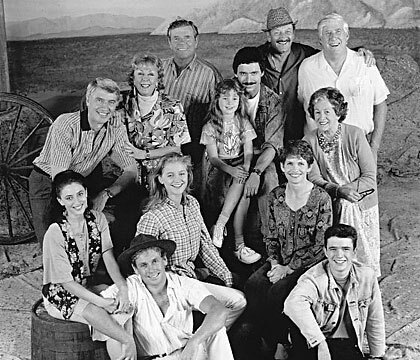 Numerous changes came with the change of networks, the standard two part episode of the original series was cut back to a one episode per week format and the fictional community of Wandin Valley was transplanted from New South Wales to Victoria as production moved to Melbourne from Sydney. More notable however was the change in the cast. By the end of its run on Seven, many of the show's mainstay characters had left the series and when the Network Ten series took to the airwaves, few of the series' principle actors remained. This new incarnation was not favourably received and production ended after just 30 episodes.